Informing trainees about the essential elements of hand safety. This course is conducted in two parts. 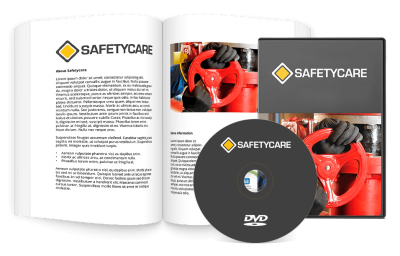 The first part takes a traditional safety management approach to hand safety and the second part takes a contemporary safety management approach. The aim of part one of this training course is to inform the trainees about the essential elements of hand safety. This first session clearly explains the aim of the course and the reason why the course is being conducted. It also includes an exercise called ‘Becoming Aware’. This exercise quickly stimulates activity and focuses the group’s attention on the functions, activities and important applications of our hands as well as exploring the full extent to which our hands are used. It also involves the trainees in a simulated exercise that allows the trainees to experience the feelings associated with a serious hand injury. This session looks at the two key elements of defensive working (as it applies to hand safety), protection and behaviour. During this session the participants are involved in a thorough review of the course information. The course (part one) then concludes with the trainees completing a written questionnaire. The aim of part two of this training course is to constructively involve the participants in a field exercise which identifies and analyses serious hand injury hazards that exist in the workplace. The first session clearly explains the aim of the course and how the course is structured. It also explains in detail the critical risk exposure process and shows the participants how to fill out and complete the critical risk exposure worksheets. During this session the participants form teams and are allocated specific work areas in which to identify workplace hazards. After each team has identified a minimum number of hazards, they are required to analyse the risks associated with those hazards and determine whether the control measures that currently exist for each hazard are adequate. This session also includes a perception altering exercise called ‘Look and See’. It is used to prepare the participants for their workplace exercise. This session involves the participants in making a brief team presentation on the findings of their workshop exercise. Any critical hazards that need to be addressed urgently are noted and suitable actions are determined and implemented. The session concludes with the participants completing a feedback questionnaire.